Next at number 12 we have Ubisoft’s action-adventure, platform game Rayman 2 The Great Escape, a perfect game that shows up all modern titles with plenty of variety and a high fun-factor! 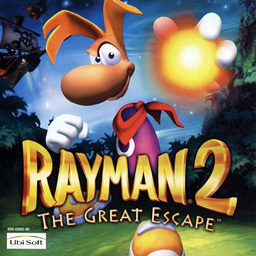 Ubisoft’s 1999 action-adventure, platform game for the Nintendo 64, PC, Dreamcast, PlayStation, PlayStation 2, Game Boy Color, Nintendo DS, PlayStation Network, iOS, and Nintendo 3DS – Rayman 2 The Great Escape. A horde of ruthless pirates has invaded Rayman’s world, stealing the life energy of the planet. Rayman is the only hope, but first he has to recover his legendary powers before defeating the Machiavellian Razorbeard. Water-skiing, racing across Russian mountains or riding on the back of a rocket are just some of the amazing means of transportation which will help you achieve victory. Considered to be “the perfect video game”, Rayman 2 The Great Escape does indeed have it all! A vibrant world, varied gameplay, good story, and incredible soundtrack make this title a treat to play. In contrast to Rayman, which was a 2D platformer, Rayman 2 brought the series into the 3D-world! Rayman 2’s story is very simple. Rayman, along with his friends, must save the world from Razorbeard and his band of fearsome pirates, it’s a classic a fight between good and evil. I think what really adds to the overall experience though, are characters like Globox, the Teensies and Ly, who add humor, fun and an innocence to the game. Though the story doesn’t necessarily make the game, it certainly adds to the overall experience. The player must navigate through a linear sequence of levels. You must fight Robo-Pirates, solve puzzles, collect lums, jump, swing, fly and climb your way through the game. Collect enough lums and players can gain access to new areas in the world! 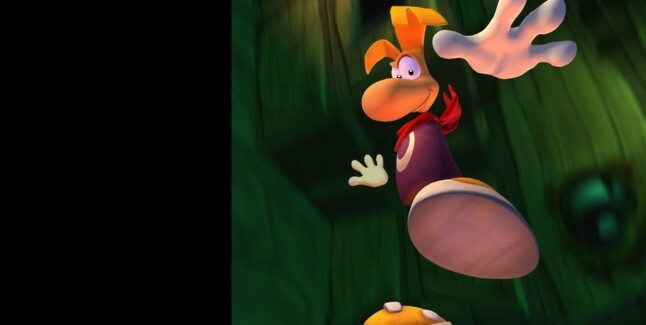 Rayman can also gain more abilities as the game progresses. His primary weapon is of course his fist, which he uses to shoot charged orbs and swing across ‘ring lums’. There are several levels too, in which the player can gain bonuses in time trials and by collecting all the lums and breaking every cage, the player can unlock a bonus level. 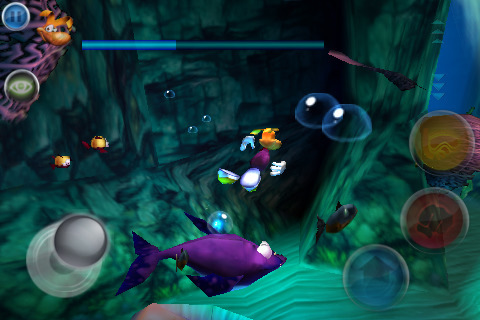 Rayman can also interact with a variety of objects within levels such as barrels and rockets! The music of Rayman 2 The Great Escape has as much variety and style as the gameplay. A somewhat eclectic mix of sounds and styles, the score to Rayman 2 is a wonderful addition to the vibrant world. Each level, mission and character has its own theme some dark and dangerous, while others are light-hearted and fun! By no means childish, the score composed by Eric Chevalier is inventively constructed and full of complex compositions. Lastly, the visuals of Rayman 2, much like its predecessor, are vibrant, lively and unusual. Like every other element of this game, the visuals propel the experience by adding to it as opposed to carrying it. And by today’s standards the game had aged incredibly well! Add all of these elements to the sheer number and variety of levels, missions and time-trials and you have an expert gaming experience that you can play and replay! Rayman 2 The Great Escape shows all video games how its done, and its achievements and legacy are nothing short of legendary. « Next Post: Gamer Habits 4: Obsessive Saving!